It's been almost 3 years to the day since I started my hard-signed Hall Of Fame autograph project. While things may have slowed down a bit a lot in acquiring cards (only added 2 cards in 2016), my quest for sigs hasn't diminished. This past week at one of the local trade nights I was able to pull the trigger on another signer and I'm excited to add this one to the lot. "Killer" has been on the radar more than many as he was a big part of my hockey youth and hometown excitement as he was a key cog in the Flames' Stanley Cup win in 1989. It was especially nice to get a card of his in a Calgary Flames uniform. Many (or most) of you equate Gilmour with the Leafs of the early 90's and who can blame you. Those were equally incredible times for a franchise that has struggled with any sort of post season success for decades. The Flames sit in that same boat. The trade I made was fair I felt but only time will tell if I pulled the right trigger.....it cost me a William Nylander Trilogy Ice Scripts. Some new names have hit the list and one of those should be pretty easy to track down. I know I've seen Rogie Vachon autos roaming the shows and on eBay and could be plucked for fairly little. Sergei Makarov.....does he even have an auto? Eric Lindros.....he's another tier up (didn't sign much early on). Pat Quinn.....shame to see him get the call after he passed away...should've been there years earlier. With this Gilmour card I've hit the 70% mark. Not bad at all. 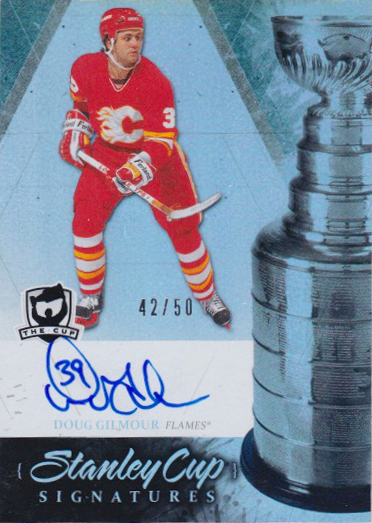 There's no doubt that getting to 100 cards will be an easy task as there are many names that should come with little resistance (Phil Housley, Adam Oates, Dino Ceccarelli, even Guy Lafleur is an easier auto to find). Still having fun with this one. That sure is a fantastic card. Those Stanley Cup Signatures are sweet. Don't believe Makarov has an autograph available. Yeah, a quick search hasn't shown any autos for Makarov. Kind of surprised. Very nice card! This sounds like an awesome project, going to read through some of your backlog now. Thanks. It's been a lot of fun. 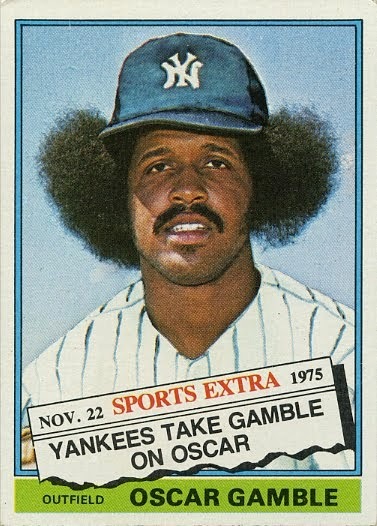 The best part is the stipulation I have set that I can only trade for the cards in my HOF auto collection. Makes it challenging, gets rid of some traders in my trade box and keeps me from spending some extra $$$ I may have otherwise.